If it swims, you can catch it on a fly. People often think that fly fishing is just for trout in pristine mountain streams. For many people, an image of Brad Pitt in a ‘River Runs Through It’ comes to mind when someone mentions fishing with a fly rod. But what if you live on a farm on the prairies, or in the heart of a major city and you are hundreds of miles away from tumbling mountain water filled with rising trout? TIP: For these species use a heavier fly rod (7 or 8 weight) and cast larger flies like Clouser patterns. Is there a pond in your neighborhood park? Urban ponds can hold a wide variety of fish. Panfish are a generic group of small fish that are very common in small bodies of water. They are a great fly rod fish as they tend to exist in large numbers and are relatively easy to catch. This is a perfect species for beginners and a great place to get kids involved in fly fishing. Quite often, panfish will co-exist in ponds with one or both bass species and you can likely find carp there as well. One advantage with these types of ponds is they can usually be fished from shore. TIP: Use a 4 or 5 weight rod and cast small poppers, soft hackled wet flies or leech patterns under an indicator for a great day of fun on these ponds. Another often overlooked place to fly fish is your local reservoir. Launch your watercraft of choice – like a small boat, kayak or float tube – and get ready to catch fish. Larger bodies of water like this tend to hold multiple species and big ones at that. 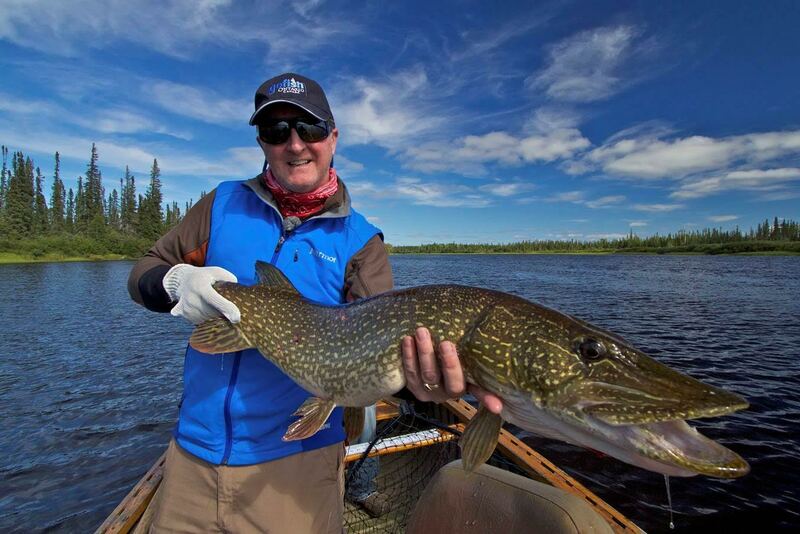 Look to the shallows for northern pike and carp and the deeper water for lake trout and walleye. Bass are also a possibility and can be found throughout a reservoir. TIP: Use heavier gear (7 or 8 weight) and a sinking, or sink tip line and minnow patterns for fishing the deep water. Use a floating line for fishing the shallows and popper patterns for exciting top water strikes. Are you near the ocean? Is there access close by? With all that water you can bet there will be a lot of fish. If you can find an area with some rocky outcroppings to stand on or a quiet stretch of beach, get ready to connect with some great fish. Saltwater species vary greatly depending which coast you’re on and there’s nothing quite like the suspense of standing in the surf wondering what species has just run off with your fly! TIP: use an 8 weight rod and deceiver patterns. Now you know that great fly fishing can be had close to home and most any species can be caught on a fly. If you’re still not sure where to find fish in your area, try checking with your local tackle or fly shop or club. Their experts will be happy to point you in the right direction. You can also access RBFF’s Places to Fish Map. This great resource will help you search for fishing locations in your area anywhere in the U.S.